Born and raised in Los Angeles, Brooke Williamson has carved out an impressive résumé full of leading roles and professional achievement, such as being the youngest female chef to ever cook at the James Beard House and winning Bravo’s Top Chef Season 14 in Charleston. Although officially beginning her career at the young age of 17, Williamson wanted to be a chef for as long as she can remember. “I love creating things that make people happy, and I’ve found that food genuinely does that,” she explains. Williamson began her culinary career as a teacher’s assistant at the Epicurean Institute of Los Angeles, followed by securing her first kitchen position as a pastry assistant at Fenix at the Argyle Hotel, under the tutelage of Michelin-starred chef Ken Frank. Her undeniable star quality and concentrated creative energy brought her to chef Michael McCarty’s nationally acclaimed restaurant Michael’s of Santa Monica, where she worked her way up from line cook to being their youngest sous chef. Desiring to travel and experience other restaurants, Williamson later staged at the renowned Daniel restaurant helmed by chef and owner Daniel Boulud in New York City. Two years later, Williamson was appointed to her first executive chef position at the notable Los Angeles restaurant Boxer. 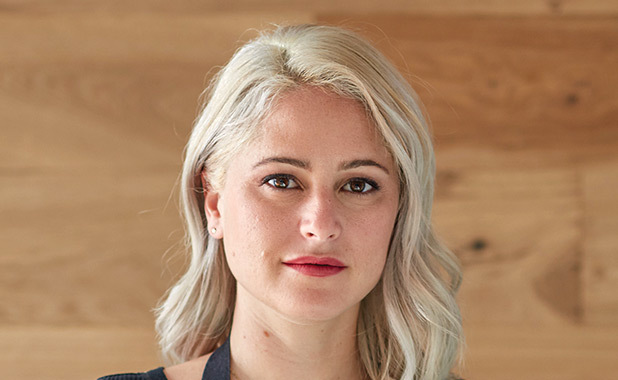 Following that, she opened the Brentwood eatery Zax as executive chef, where she began to develop her signature California-inspired cuisine — infused with local ingredients and global flavors and centered around the idea that simplicity goes a long way. While at Zax, she also met her husband and business partner, Nick Roberts. The two opened their first independent venture together a couple years later, Amuse Café in Venice, California, followed by Beechwood restaurant soon after, earning them the title of “Rising Star Chefs” from StarChefs in 2004. Although both are now closed, in 2009, the wife and husband team opened Hudson House, an elevated gastropub in Redondo Beach, California, followed by The Tripel in 2011, a modern American and craft beer dining destination in the neighboring beachfront community of Playa del Rey. During that time, Williamson became certified by The Court of Master Sommeliers, given her strong interest in wine that first sparked in the early 2000s after traveling extensively through France and Spain. In 2014, the culinary couple debuted a unique four-in-one-concept, Playa Provisions, featuring a grab-and-go marketplace, King Beach; an artisanal ice cream shop, Small Batch; a seafood dining spot, Dockside; and an intimate whiskey bar, Grain. In June 2015, Williamson and Roberts opened Tripli-Kit, a culinary-focused retail store that features unique kitchen gadgets, cookbooks, and other cooking essentials. In October 2016, the duo debuted their fifth venture in Playa Vista, California, a fast-casual Hawaiian concept called Da Kikokiko, celebrating Hawaii’s popular street foods, including: poké, shave ice, and musubi. Most recently, the couple opened their second Small Batch artisanal ice cream shop in the family-friendly Los Angeles neighborhood of Mar Vista. In addition to winning Bravo’s Top Chef Season 14 in Charleston in March 2017, Williamson was also a runner-up on Top Chef Season 10 in Seattle, which catapulted her career. She has participated on other national shows like Bravo’s Top Chef Duels and Esquire network’s Knife Fight (where she took home the win) and starred as the host and mentor on MTV’s House of Food. During her day-to-day operations, she works alongside Roberts creating new menus, running the front and back of the house, and managing their multiple concepts.